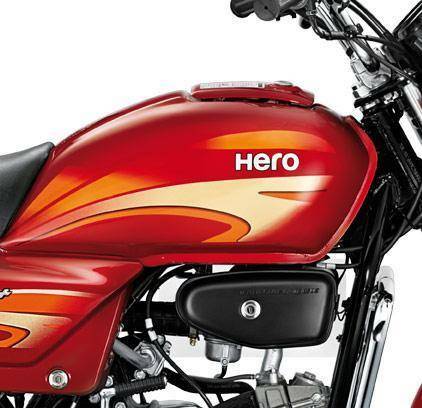 *Actual On Road Price of Hero Splendor Plus at the dealership may vary. The Splendor is probably the oldest commuter bike sold in India as it was launched in 1994. Till date, the sales figures of this bike clock in millions per year. Over the years, Splendor Plus has become stylish and it comes with a decent amount of features. It comes powered by the 97.2cc air-cooled, four-stroke, single-cylinder engine that churns out 8.24bhp of power and 8.05Nm of torque. The bike is available in six colour schemes - Candy Red, Hi Granite Blue, Cloud Silver, Palace Maroon, Black with Silver and Black with Purple. It competes with Bajaj Discover 100. That bike good bike looking good Baki chal ke dekhte h kesi h fir detail me likhte h iske baare me.